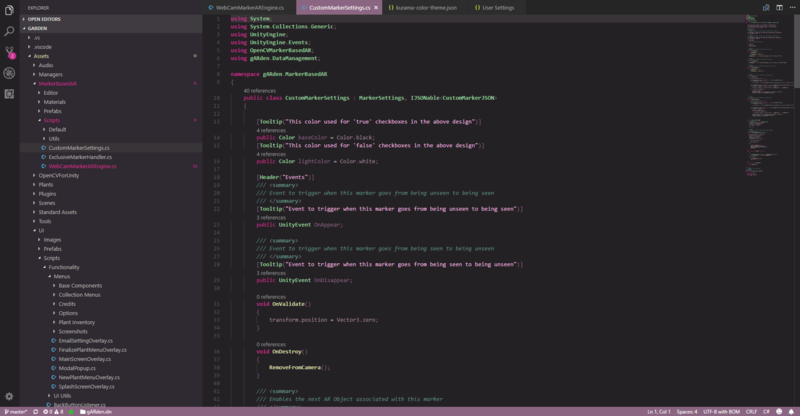 Visual Studio Code>Themes>kuramaNew to Visual Studio Code? Get it now. place the kurama folder in ~/.vscode/extensions/ on Mac or C:\Users\[username]\.vscode\extensions on Windows! i dont write code in every language or use every feature of VS Code, so i'm sure there are some unthemed oversights. if you find some, let me know!